For the treatment of pigmentation. 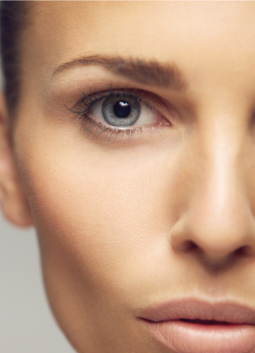 It should contribute to the reduction of pigmentation while slowing down the aging process. 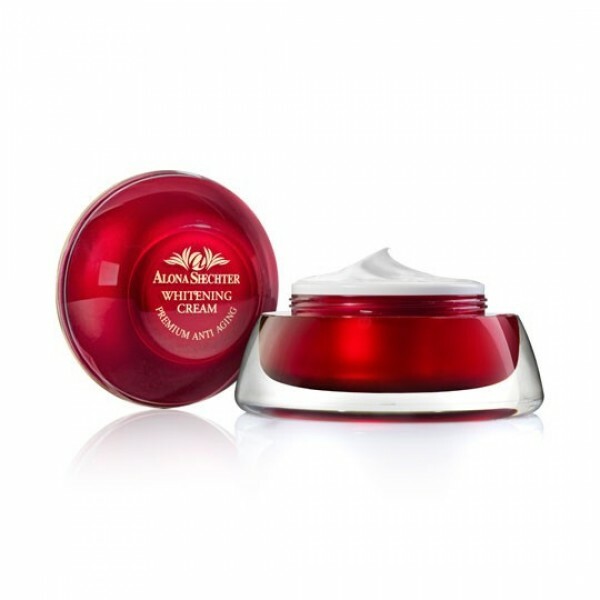 This "Whitening Cream" is a product with a special combination of active ingredients, herbs plus jade powder which nourish the skin during the night. The primary role of the "Whitening Cream" is the ability to restore the skin to produce melanin evenly in all areas of application. It should be remembered that the treatment takes time and requires a lot of patience from the user. The results will be noticeable after only four months of use. The easiest spots to remove are freckles and sunspots where the accumulation of the pigment remains in the top layer of the skin. Patches caused by pregnancy, where for unknown reasons the pigment accumulates deeper into the skin, is much more difficult to treat. Most troubling spots are hereditary and even after removal may re-appear for unknown reasons. Apply the "Whitening Cream" every night on the necessary areas. In the morning it is necessary to use sunscreen on the treated areas. Firstly, wash the face and backs of the hands with "Achillea Soapless Soap". Next apply "Whitening Cream" to the clean washed areas. Water (Aqua) & Ethylhexyl Methoxycinnamate & Ethylhexyl Palmitate & Caprylic / Capric Triglyceride & Glycerin & Tricholoma Matsutake (Mushroom) Extract & Nephrite (Jade) Powder & Cetearyl Alcohol & Cyclopentasiloxane & Benzophenone-3 & Peg-100 Stearate & Glyceryl Stearate & Polyacrylamide & Dimethicone & Ci 77891 & Lonicera Japonica (Honeysuckle) Flower Extract & C13-14 Isoparaffin & Aloe Barbadensis Extract & Fragrance (Supplement) & Lonicera Caprifolium (Honeysuckle) Flower Extract & Magnesium Ascorbyl Phosphate & Allantoin & Panthenol & Shea Butter (Butyrospermum Parkii) Extract & Laureth-7 & Lactic Acid & Retinyl Palmitate & Sea Salt (Dead Sea Minerals) & Tocopheryl Acetate & Hibiscus Sabdariffa Extract & Morus Alba Bark Extract & Citric Acid & Cucumber (Cucumis Sativus) Seed Extract & Sodium Benzoate & Potassium Sorbate & Limonene & Benzyl Benzoate & Linalool & Citronellol & Isoeugenol & Benzyl Cinnamate & Eugenol & Geraniol & Citral & Benzyl Alcohol.